James Ashall is Diageo's global innovation director on the Futures Team. He is part of the drink giant's accelerator - Distill Ventures - co-founded by Independents United to connect Diageo with the products of the future. 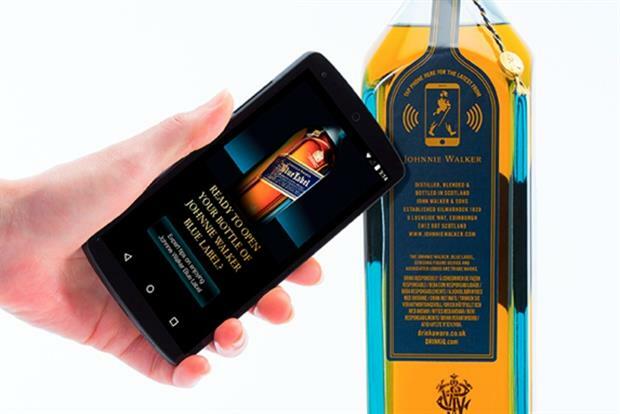 Diageo has been ramping up investment in new spirits brands whilst exploring how technology can better connect consumers with brands, for example through its prototype 'smart bottle' for Johnnie Walker. The smart bottle, revealed in March, uses sensor technology developed by tech company Thinfilm. When scanned by a smartphone it becomes an interactive medium that can trigger promotional content. Marketing caught up with James Ashall, global innovation director on the Futures Team at Diageo, to get the low-down on why the business is investing in future gazing through Distill Ventures and its tech incubator Diageo Technology Ventures, launched in September 2014. "We’re starting to see technologies that really disrupt industries. If you look at the hotel industry to the packaged goods industry you can see how technology is really starting to transform [businesses]. I also think there’s a wider penetration and uptake of the tools to use these technologies. Consumers have access to the tools which goes past the tipping point and enables them to embrace it. That drives a lot of interest. But the thing that’s critical for us is that this can’t be about chasing technology because that’s a rabbit warren. It has to be about solving business challenges that we have. That’s why our starting point is going after responsible drinking, anti-counterfeit and anti-theft and then going after the smart bottle. We’ve said – what are the business challenges and how technology can enable that - versus ‘here’s the latest cool technology we should invest in." What do you think the retailer of the future will look like? "That’s the question – is there a supermarket in that world? I don’t know if there will be a spirits ‘shelf’ in future, I don’t know if there’s a supermarket as we see it today. If you look at the emergence of ecommerce – what does that mean for the established retailers? I wish I knew the answer to that." Is this work embedded in a future-proofing strategy? "This all feeds in to our corporate strategy and comes from our strategy from Ivan [CEO] down. The role of the Futures Team is that we need to be the leading lights at Diageo but we don’t need to go away and do this on ourselves. We need to be the guys that bring the forefront of breaking technology into the organisation so we can execute it at scale. For example on the Johnnie Walker [smart bottle], this is not something we’d try on a smaller brand because if we do this right and do it at scale we don’t want to do it on a small brand that’s starting out. You’ve got to get the right penetration. For this to work it will need more brands embracing it. We need to hit that saturation point." Do you think tech incubation is getting more and more competitive? "Tech incubation is well established and I think we need to be clear on is what we can bring to a partnership. We need to be bringing some value from Diageo – and cash isn’t it - or what’s going to help them grow their business. You can go to a bank, a rich relative, crowd funding – there’s loads of places to get cash. But what it has to be about is the synergies between businesses and how those synergies create an opportunity that neither of us can access."